Central Basin Roofing has been providing new roofs and roof repairs to the Prescott Tri-City area for nearly three decades. 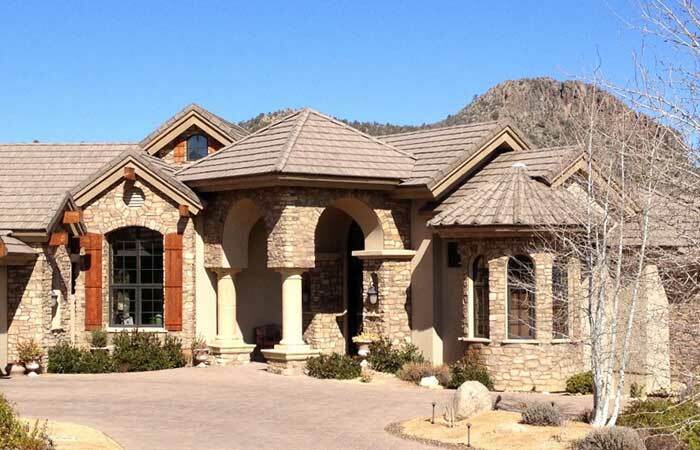 We work with both homeowners and contractors, manage residential and commercial projects, and replace and repair roofs throughout Central and Northern Arizona, including Prescott, Prescott Valley, Chino Valley, Dewey-Humbolt, Mayer, Sedona and Flagstaff. Learn more about us. We're proud of our roofing crew at Central Basin and the testimonials we receive for our professionalism... but we don't rest on our laurels. We know our reputation is on the line with every new project so we make sure our customers are more than satisfied. Please feel free to ask for references, verify our Arizona State dual residential / commercial license and check with the Better Business Bureau. We're licensed, bonded and insured, and proud members of the Better Business Bureau, Rosie on the House, Yavapai County Contractors Association, National Roofing Contractors Association, Arizona Roofing Contractors Association and Prescott Chamber of Commerce. We're also GAF Certified. When you're ready to talk about a solution to your roofing problem, please give us a call at 928-778-5819 or use our contact form. Quotes are always free! Cottonwood, Camp Verde and all of Central and Northern Arizona.